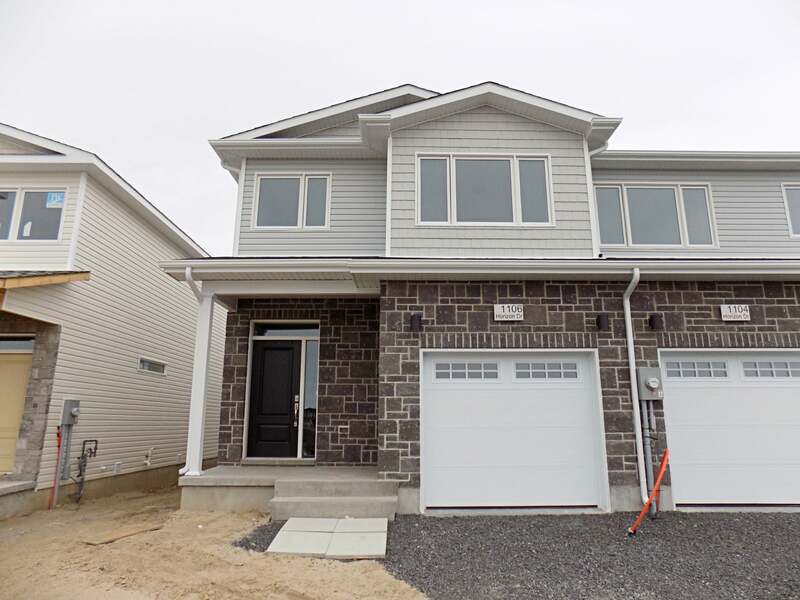 Quality built by CaraCo in Woodhaven, this brand new 'Inglewood' is finished and ready to move in. 1,750 sq/ft end unit townhome offers 3 bedrooms, 2.5 baths and upgraded laminate flooring in main floor living areas. Upgraded kitchen w/extended uppers, large centre island w/extended breakfast bar, stainless OTR microwave and walk-in pantry. Large dining room overlooking the living room with pot lighting as well as 3 panel patio door overlooking the rear yard. Main floor laundry/mud room. 3 bedrooms up including spacious master w/walk-in closet and 4-piece ensuite w/separate tub and shower. All this plus 9ft ceilings main floor, upgraded paint colour, basement bathroom rough-in and much more. Ideally located in popular Woodhaven with easy access to all west end amenities. Floor Area 1,750 Sq. Ft. Lot Size 25 x 104 Sq. Ft.
Not intended to solicit Buyers or Sellers currently under contract with a real estate brokerage. *TOP 1% Based on KAREA BOARD MLS® System total listing agent units sold City of Kingston 2018. #1 Based on 2018 closed and collected commission totals for RealtySource Inc., Brokerage.